Following a 66-53 win over Ghana Fire Service, Tudu Magic has retaken first position in the Accra Basketball League (ABL) Men's Division I after the conclusion of Week 6 games this weekend. 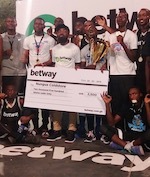 Beating Fire did not only get Magic to the league's summit, it ended the team's back to back losses against Braves of Customs and Ghana Police in the past rounds before taking on Fire; Magic lost 40-46 to Police. The team has ten points from winning four of six games played this season and is closely followed by Adenta Leopards who have won four out of five games including its latest win-a 70-60- over Navy Warriors in overtime. Following a surprise loss to Leopards in Week 3, division heavyweight Tema Youth has rebounded by winning two straight games against Navy Warriors and Reformers of Prisons. 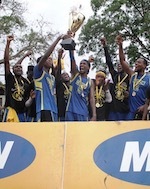 Tema beat Prisons 66-64 and Warriors 64-60. Defending champions Braves of Customs sits in fourth place but is yet to be beaten this season likewise Ghana Police after four games. Both teams have maximum points but playing the fewest number of games in the division has cost them higher rankings. Braves are in Kenya participating in an international competition and are due in Ghana on Saturday May 26. The team traveled with its female group. Prisons, Warriors, DC Dynamics and Ghana Fire Service fill out the remaining spots in the standings respectively; Dynamics and Fire are yet to win a game this season.